Fabulous set. Bought for Christmas gift for my son. The quality and value are outstanding. The color is rich and the convenience of being able to buy it all together is a bonus. 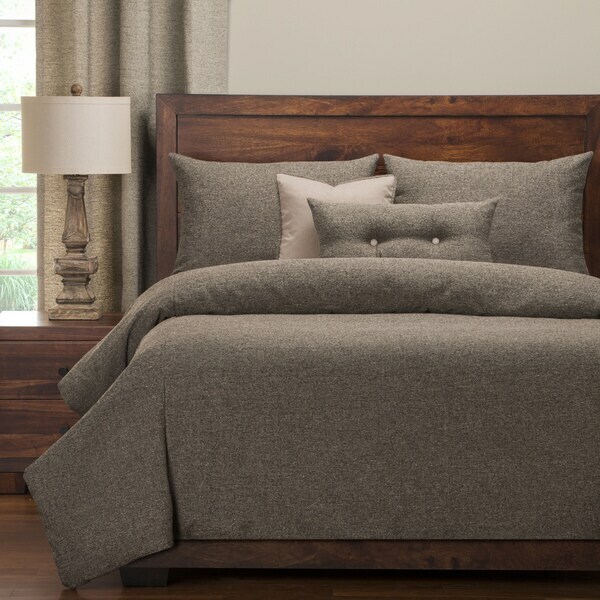 Create a warm and inviting look in your bedroom with this beautiful Belmont Greystone duvet cover set. Made from a soft polyester/ synthetic fiber blend, this heavyweight duvet cover set is backed with ultra-soft fabric. Stuffed with a medium-weight fill made from recycled plastic bottles, this cozy comforter benefits your health and the environment when compared to natural down. With zipper closures on the duvet cover and shams, this machine washable bedding is easy to clean. I was a little worried about the texture of the duvet cover, but it's only on the top side and it's actually more comfortable than it looks. This is incredibly comfy, and it's a heavier blanket, which I really like. It's also super easy to wash the duvet cover - love it! 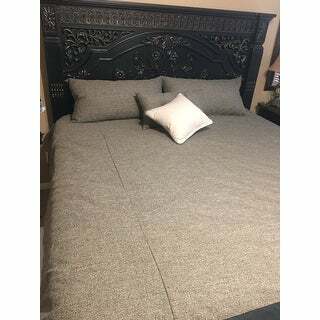 Polo Gear Belmont Greystone Luxury 6-Piece Duvet Cover is a beautiful bed set! The quality and feel of this duvet cover set is fantastic. We could not be happier with our purchase. This exceeded my expectations. Great quality. Nice thick texture. Looks great in my updated bedroom. I used the duvet as a bed cover and just tucked it in. Very chic. Medium heavy coarse material, solid feel and construction. Pillow cases have zippers instead of being open. Overall just what i was looking for. This is my favorite comforter set I've ever had. 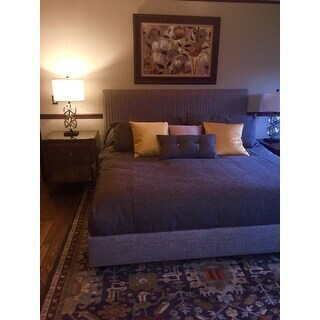 Feels super high end and lays beautifully across the bed. And it covers our rather thick mattress which has proved challenging! This duvet is more brown than the gray as described. It is of excellent quality, but very heavy. I find it too heavy to sleep under, but its weight makes it lay well on the bed. I love this set it is a thick quality material. Looks very nice on the bed. The weight of the insert is nice. The only draw back for me is the insert seems to slip a little and I have to adjust it often. It has 3 buttons to secure it at the top wish it had a few more to keep it from moving. all around I love it though. Heavy duty and looks expensive! Totally worth the purchase. "Is the Belmont grey stone fabric grey or more brown? Hard to tell from Internet photos. I have warm grey walls and don't know if this will go or not. ANY input is much appreciated!" This set is a brown color flecked with grey.